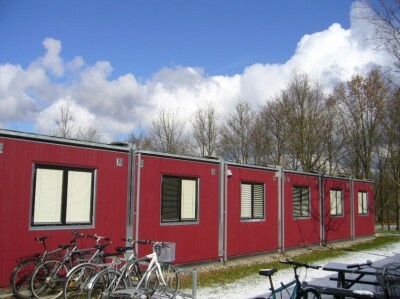 In order to alleviate the lack of student housing available across Europe, a few universities in Denmark, Germany, France (Le Havre) [fr] and Spain have tried to turn containers into student dorms. Containers appear to be the structure of choice because they are less costly and readily adaptable to include the necessary amenities. However, a few associations have already raised a few issues [fr] regarding thermal isolation and safety in the containers.